Confirmation by the British Ministry of Defence that it’s stockpiling food at military bases worldwide highlights the disaster Brexit is likely to become, a councillor has said. 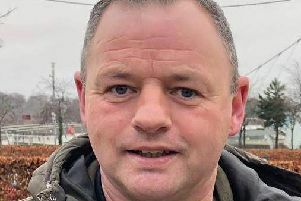 Sinn Féin’s Christopher Jackson said: “It has been reported that British military bases across the world have been stockpiling food and supplies in preparation for a no-deal Brexit. “Not only is this yet another acknowledgement from the British government that its reckless Brexit policy will result in food shortages, it also raises questions about the priorities of the Tories.